Want to feel your body work more easily and efficiently? Then the Alexander Technique could be for you. It is an incredibly effective way of learning how to release unwanted tension in our bodies which builds up through habit and everyday life. This tension can pull our bodies out of shape affecting our balance and coordination therefore causing problems including back and neck pain, migraines and poor posture to mention a few. 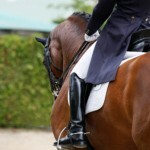 Improve your horse riding and get in harmony with your horse? Alexander Technique helps you regain your natural poise and coordination that you had as a small child. It is a skill that you learn with the help of a teacher enabling you to use it in everyday life. 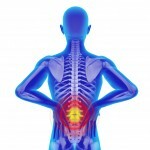 The Alexander Technique is NOT a treatment or therapy such as massage or manipulation nor is it an exercise regime like Pilates or yoga. However the technique can help enhance any activities you do such as yoga, horse riding or playing an instrument. Sarah Witkin is an accredited Alexander Technique and Horse Riding teacher based near Saffron Walden on the borders of Essex, Suffolk and Cambridgeshire.